In 1980 the average adult attention span was 20 minutes (a figure I heard in a video but could not verify with a 2nd source). 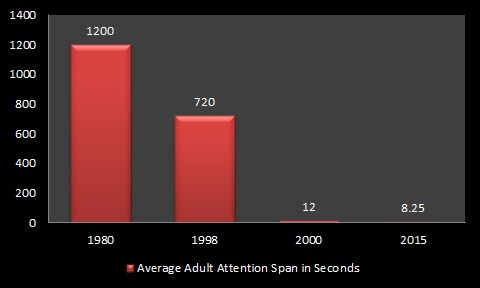 In 1998 the average adult attention span was 12 minutes. 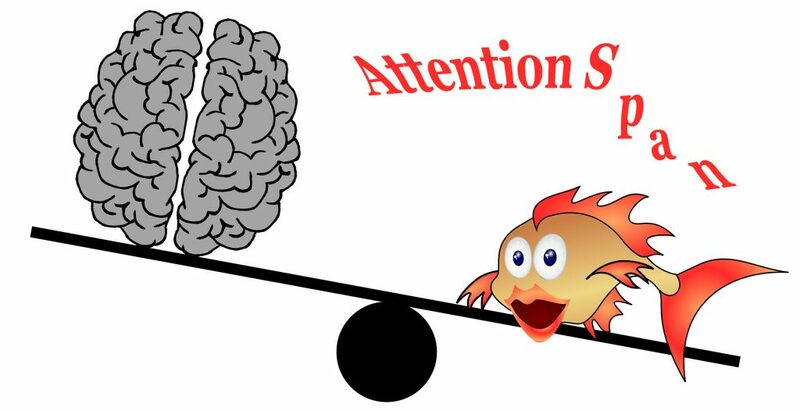 from the same study, 2015 attention span was down to 8.25 seconds. This same study states that the average attention span of a goldfish is 9 seconds. Amount of words read on an average web page (593 words): 28% (Users spend only 4.4 seconds more for each added 100 words). As an advertiser or blog author these stats must play a role in how you advertise, write, and structure your work. Notice I kept the title of this post really short and used bulleted lists and short sentences. As a human being these stats MUST tell you to UNPLUG. To get any REAL, worthwhile work done, you MUST ISOLATE yourself. It takes practice. Young people can’t study without the TV on and their phone in their hand. This drop in attention span, in my opinion, correlates to a drop in quality.